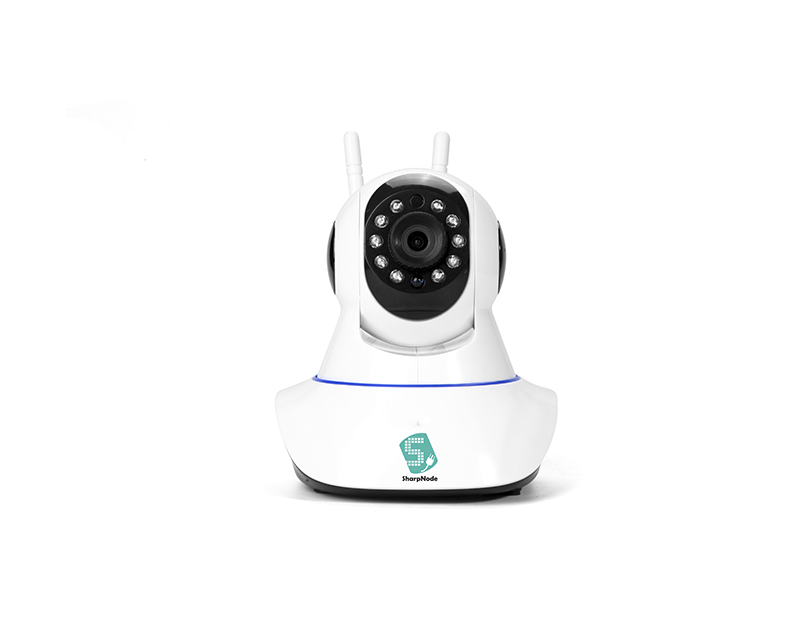 SharpNode 2S IP Camera for video surveillance and office monitoring. This camera supports WiFi for easy network connection and deliver standard quality video and Images. Client can monitor their office on the go using Smartphone. It supports D-WDR (digital wide dynamic range) function to improve the quality of video. Besides, there is a micro SD ( TF) card slot for on-board video storage (Max. 32G ). 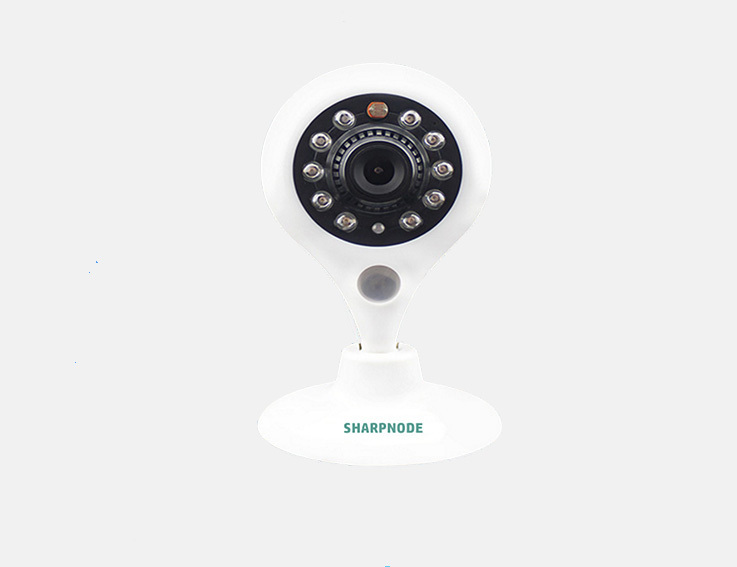 SharpNode 2S IP Camera is a simple IP camera for video surveillance and monitoring. 2S Camera supports WiFi for easy network connection and deliver real-time video. 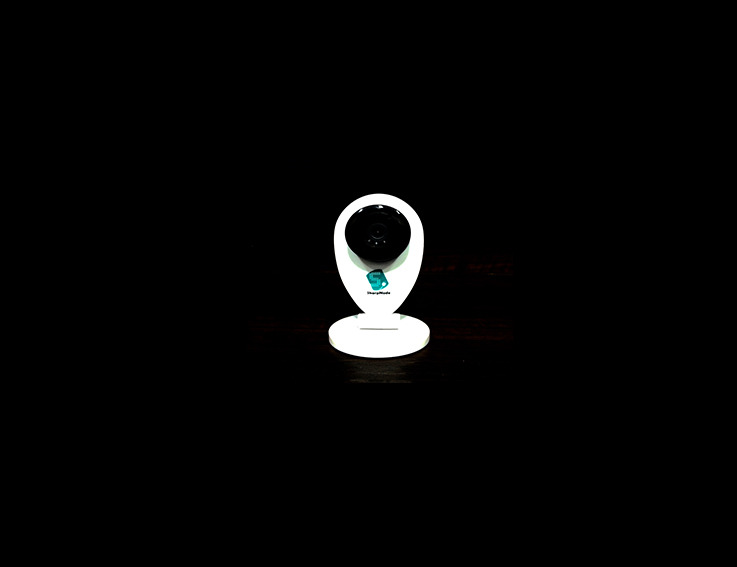 2S IP Camera supports 2-way audio communication with microphone and speaker. It comes with advanced D-WDR (Digital Wide Dynamic Range) function to improve the quality of video. Besides, there is a microSD card slot for local storage (32GB). It supports P2P & push video function. Once an alarm occurs, user can receive push alert & can see the video or images in app. It is also very convenient & free for user to check snapshot from sharpnode hosted cloud. It comes with VSAC (Video Self-Adaptation Connection) that provide better stability of video stream. In absence of P2P, server transmission video streaming is possible. That gives, persistent video streaming on your smart-phone. 2S IP Camera not only limited to quality hardware. It comes with stable application. Camera 2S App provide hassle free monitoring, control & safety. That’s why, it is an ideal gadget for your home or shops. HD 720/960P indoor WiFi IP-Camera with built-in MicroPhone, Speaker. WiFi function - Easily connect the camera to your network via your smartphone or tablet. Two-way audio communication. You can send direct voice Instruction. Practical TF card slot for easy video recording and capturing SnapShots. Free Smartphone Apps allow you to monitor your home or office from all over the world via Internet. Receive notifications for occurring events and security alerts with SnapShots. Place it on any flaat surface or easily mount it to a wall or ceiling. Optional Magnet base which can be used to attach into any metal surface. Optional RF433 frequency Alarm can be used as security alert. Smart Camera built for smart Home which also support Home Gateway. Smart Camera with In-Built Motion Sensor and night vision. 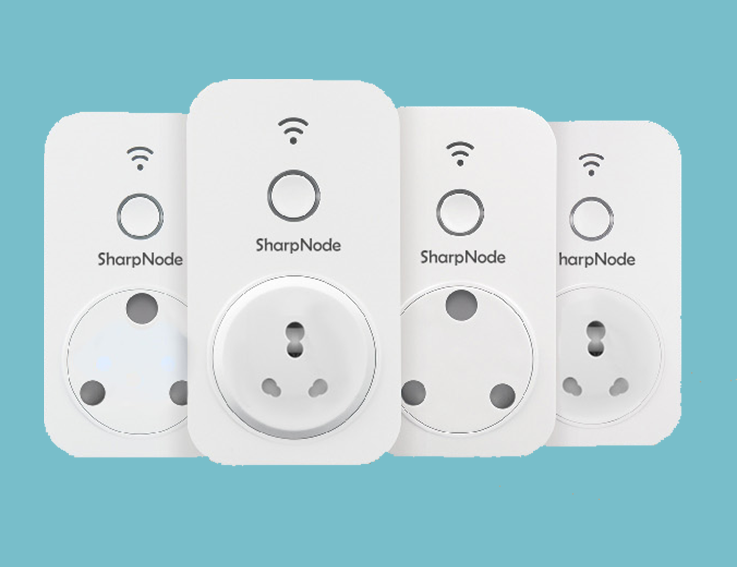 Smart Home Kit to control Home Appliances from anywere. Smart Plug to Control Heavy Appliance like Geyser. 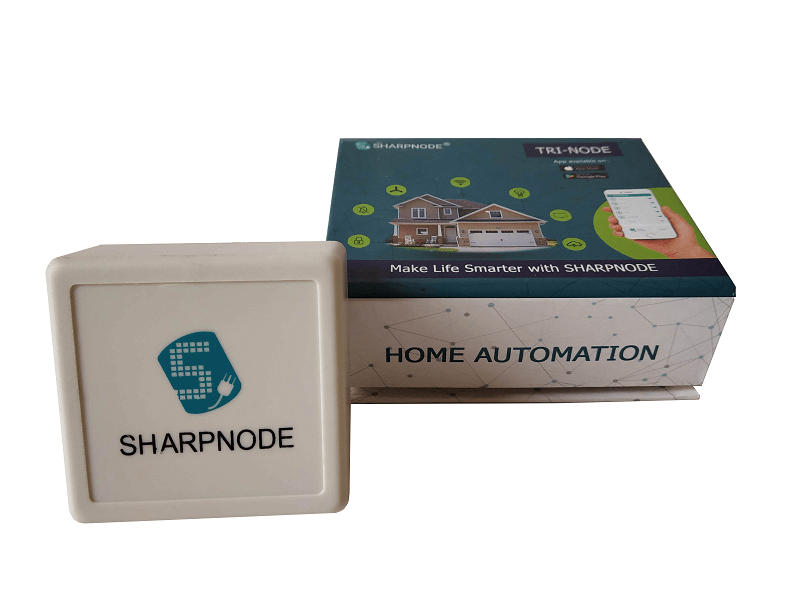 Copyright © 2019 SharpNode Technologies Pvt Ltd.